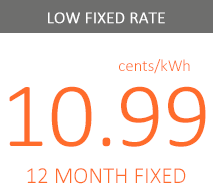 We are offering a LOW rate that beats National Grid’s rate of 13.03 cents/kWh*. Switch to this fixed-plan that is 15% less than the current utility. Call Us or Enroll Online Today! This Town Square Energy offer may expire without notice. *Utility rate is effective from Nov 1 to Apr 30, 2016.